French Ambassador to India tweeted his government's response. New Delhi: The Rafale controversy refuses to die down with some reports now claiming that France had ordered 28 of the jets at half the price of what India had paid. The French government was quick to refute the reports, adding that the 2 billion euro figure mentioned in a news report for the purchase of the 28 fighters was meant for development of the new F4 variant of the jet. French ambassador to India Alexandre Ziegler tweeted, “France yesterday did not announce any new aircraft acquisition order! The amount being referred to will finance solely the new F4 standard for the Rafale. 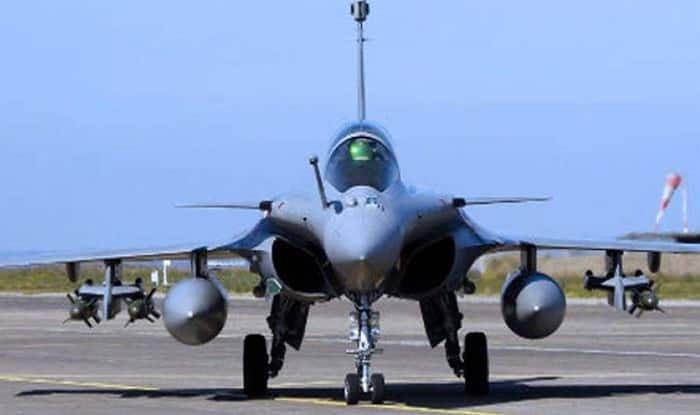 The 28 aircraft remaining to be delivered to the French Air Force are part of previous acquisition contracts,” tweeted French ambassador to India Alexandre Ziegler. The tweet was in response to a report in the National Herald that France paid 2.3 billion Euros for 28 Rafale planes while India ended up paying 7.8 billion Euros for 36 planes. “The numbers do not match, say critics as afresh controversy erupts,” it had tweeted on Tuesday. The IAF would get the F3R variant of the Rafale, with the 36 jets slated for delivery between 2019 and 2022. The original F1 standard Rafale was first upgraded to F2, with air-to-ground and air-to-air weapon capabilities, while the F3 and F3R ones enhanced its versatility further. As per Dassault Aviation, the validation of the F4 standard is planned for 2024, with some functions becoming available by 2022. The Congress has been alleging that the deal was overpriced, violated procedures, and was intended to benefit the Anil Ambani-promoted Reliance Defence as the “offsets partner”. The NDA Government says it got a better deal as far as price, equiment or delivery were concerned.